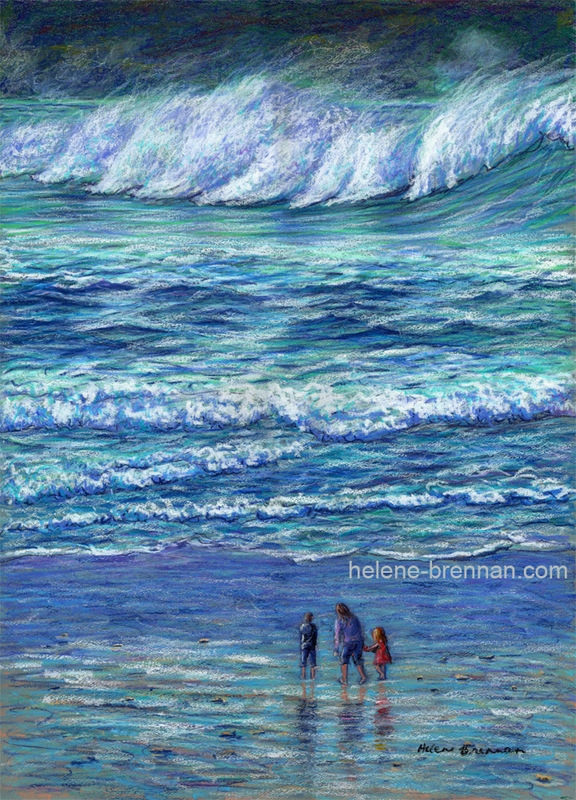 A young family stands in awe watching the massive waves on Clogher Beach. The size of the people compared with the size of the waves give one an idea of the sheer size of the waves. This is not exaggerated, it really was like this. Stormy weather often sends these huge waves to this beach, in particular.